We’ve all been there. You’re planning a party and struggling to get everything done. You want to serve your guests Chick-fil-A Nuggets, but you have little time to run by a restaurant before the event and rush-hour traffic isn’t doing you any favors. Don’t worry. We hear you and we have a solution. 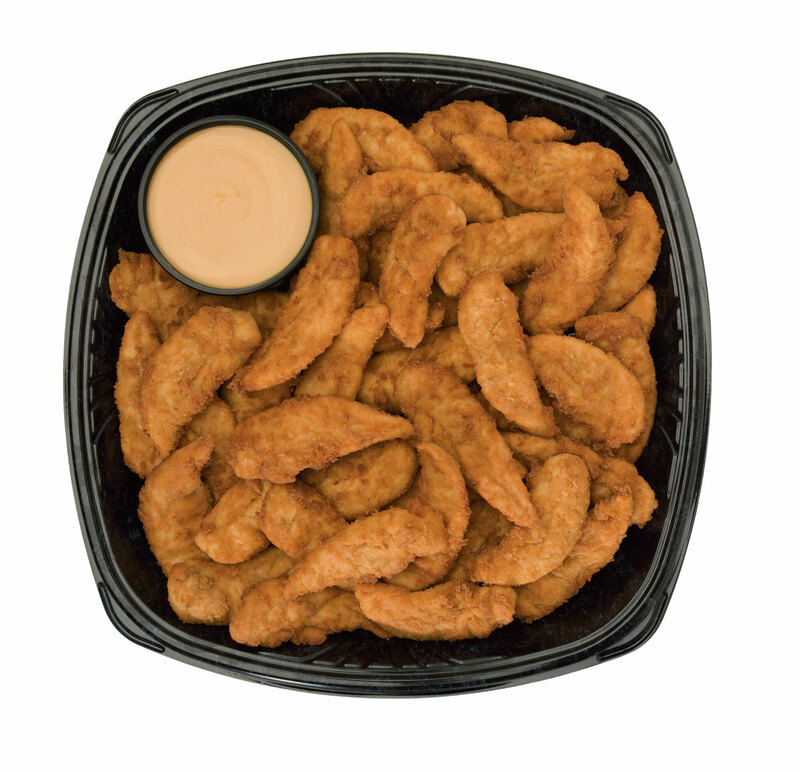 With just a little planning, you can have an entire tray of our Chilled Chick-fil-A® Nuggets or Chilled Chick-fil-A Chick-n-Strips® to heat at your house or event, on your schedule. These catered trays can be purchased six days a week, refrigerated at home ahead of time and reheated in as little as 15 minutes when ready to eat. 2. Pick up your Reheatable Tray. 3. Keep refrigerated until ready to serve. 4. Reheat Nuggets or Chick-n-Strips on a cookie sheet in oven according to package instructions.